Which clothes do you bring to Venice? The Venice Italy temperature peaks in the months July and August. And in the winter there are almost no temperatures below 0°. The weather in Venice remains variable. Most rain falls in November and June. Comfortable walking shoes are a must. In winter it is cold and bleak, so you have to bring your gloves and a warm scarf. The fresh breeze due the cold water makes it wintry cold. The best time to visit Venice is the spring or fall. This is the period when the peak flow of tourists left the city. The temperature in Venice is comfortable in these months. While it is cool at night and along the Grand Canal it is cooler. In the spring / autumn, I recommend to bring a sweater or a light jacket for in the evening. Summer is the peak season with many day-trippers. Hot temperatures. Sun cream is needed. For museum and church attendance take a scarf or something with long sleeves. Don´t wear a short skirt or shorts. It is the most expensive season with higher rates for hotels, restaurants, gondolas and taxis. Occasionally there is high water in Venice. Especially in the colder months. They call this Aqua Alta (high water). I have never taken rain boots with me to Venice Italy and you also don't have to do this, because they prepare special walkways for over the water. If the sea level rises above 110cm, you can hear a siren. A flood takes 6 hours due the sea tides. Most areas of the city are more than 100cm above sea level. Some lower areas begin to flood if the sea level rises above 80cm. This is mostly around the St. Marc Square. A three-day prediction for the water levels is available on the official site of Venice. 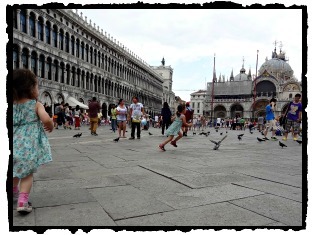 You've read about the Venice Italy Temperature. There is plenty to explore, as you see. 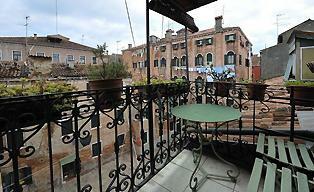 Read my site on Venice and get information.